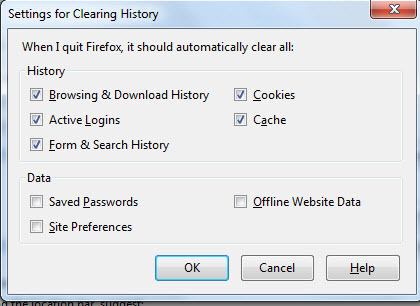 The instructions below will assist in setting up your browser to clear the browser cache and temp files upon exit. 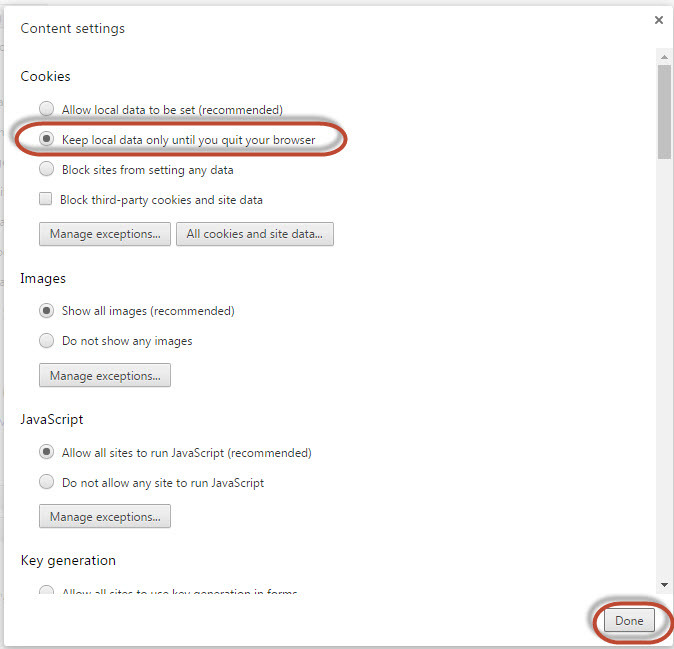 Making these settings changes will help ensure successful access to your digital assets when you return the next session. 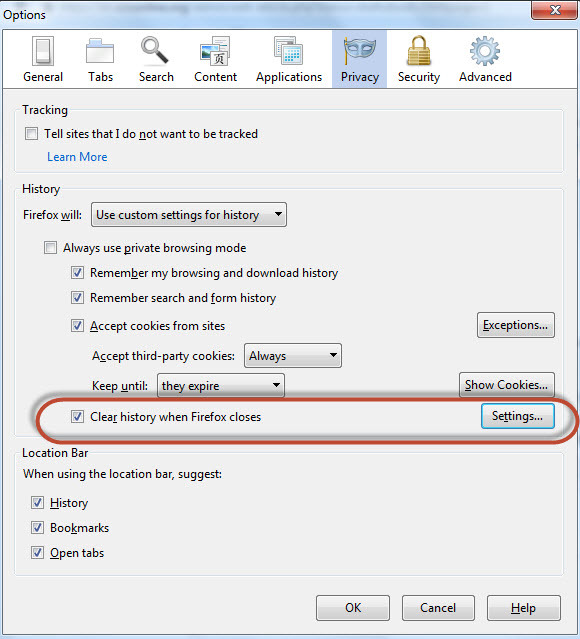 Under Cookies>Click the radio button that says "Keep local data only until you quit your browser"
Click Privacy>Click the dropdown arrow in the History section, FireFox will:>Choose Use custom settings for history>Click the Clear History when FireFox Closes checkbox>Click the Settings button to the right to customize the setting, confirm the History items are checked>Click OK twice to accept the changes. Posted by: Amy Sorensen - Mon, Sep 26, 2016 at 10:47 AM. This article has been viewed 1143 times.